Raven and Legend with 7 car trains? Once the TL's are up and going on Voyage, Do you think its possible they would add a car to each coaster train on the other two? I know Legend's station is more than long enough. Only thing I could see is the transfer tracks and storage not being big enough, Maybe they are, IDK. Chuck, wishin but if they sell it outright, Good for them. I know TL's are being considered for Legend as its a trackwork nighmare. I don't understand what the point would be. I mean, they already have 2 trains for each of those coasters. I don't think they are that concerned with capacity, especially since the flagship ride is Voyage. As for new trains on Legend, I'm sure it's a consideration. They pulled the plug on the G-trains after what? 1 season? 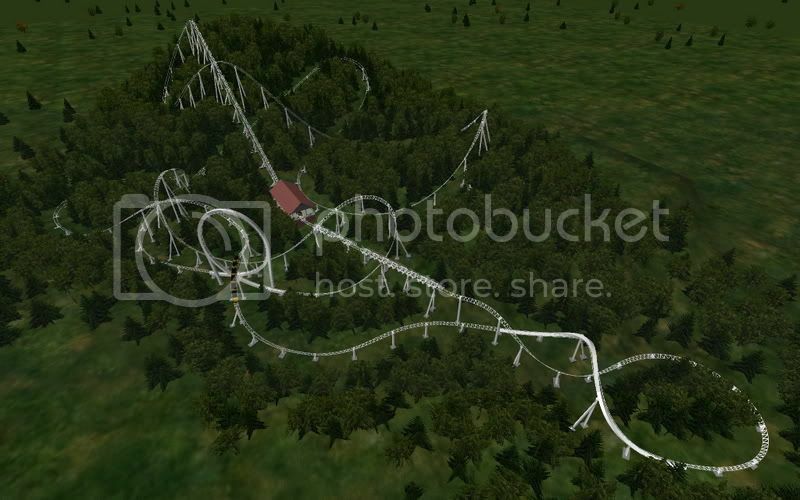 That should give you an idea of just how bad the Gerstlauer trains really were! The G train was rough - but it was still better on Legend than any other coaster - mainly due to the excellent maintenance at Holiday World. I would think they could add a 7th car to the trains of Legend and Raven, but the increase in capacity would be what, 1/7? Would that also add even more wear to the track? Some people liked the Legend better with the G train, Im one of em. Just as Im sure some are going to miss the PTCs on Voyage. While I've had some great legend rides since the PTCs were put on. It still has never matched the second season with the G train. That whole train would go airborne over the double up and the coaster got its 4 corners of death reputation from basically putting you in each others laps in the final four turns of the ride..
Oh no, my friend!!! I HAVE seen the HoliLooper in all it's glory! And I agree - would be perfect! An old style Anton looper - I know they're not in production - but HW could get one made. So many of the new loopers have too quick transitions, etc., those old coasters were spread out - intense but you had time to see the scenery and feel PACING as well... And most importantly, THOSE lapbars.